Sometimes all an interior needs is a single bold gesture to transform what would otherwise be a ho-hum, averageville space into the one that makes us stop and look twice. 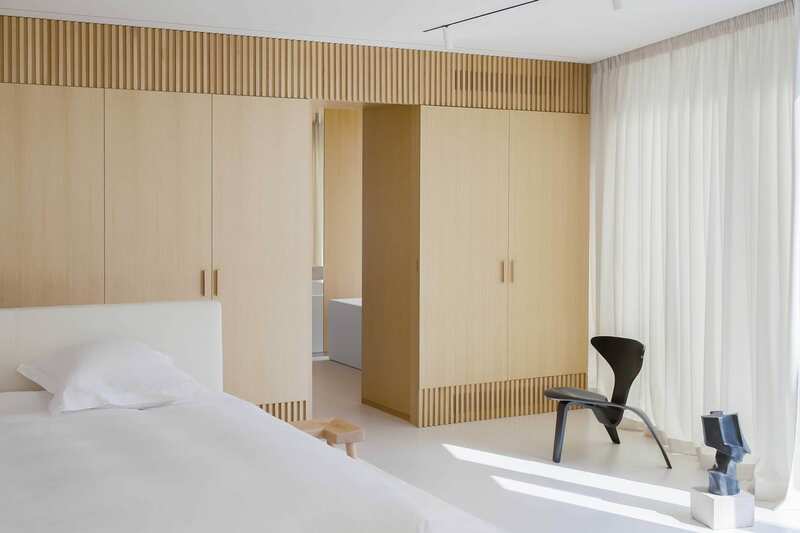 Case in point is this fantastic 138 sqm apartment in Lithuania by DO Architects. 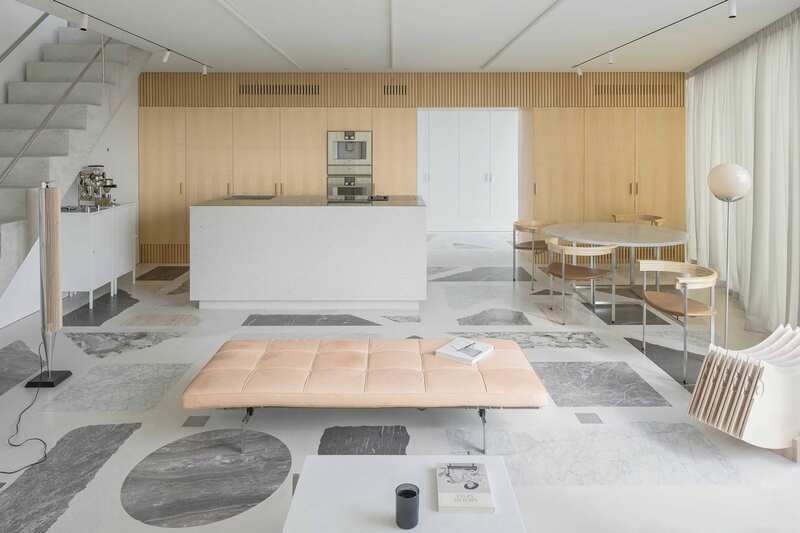 Let’s face it – this place is all about that unbelievable custom terrazzo floor. Sure, the joinery is beautiful, furniture choices lovely and the presence of technology by Bang & Olufsen totally ace. But really – if you took away that floor, the whole thing would collapse into a heap and end up looking just like another beige interior we’ve seen a million times before. A lovely one at that, but still. Yawn. 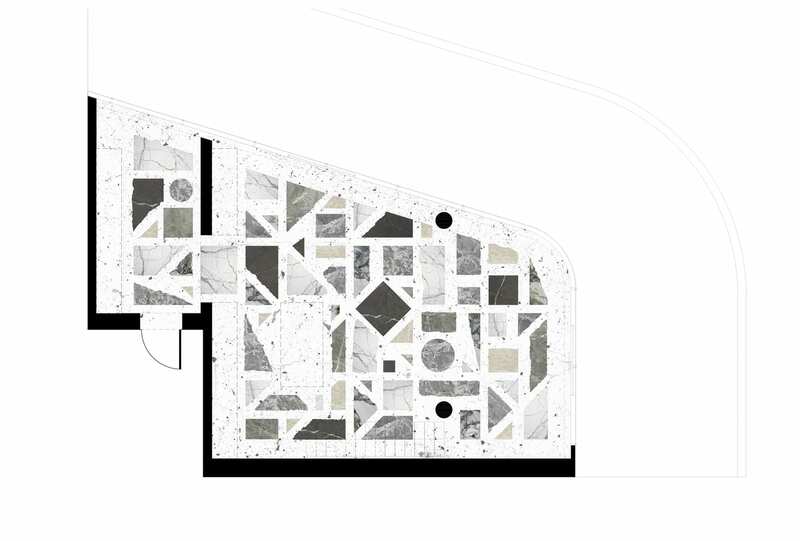 The floor in question is made using large scale marble, granite and travertine pieces, combined with a white concrete binder. 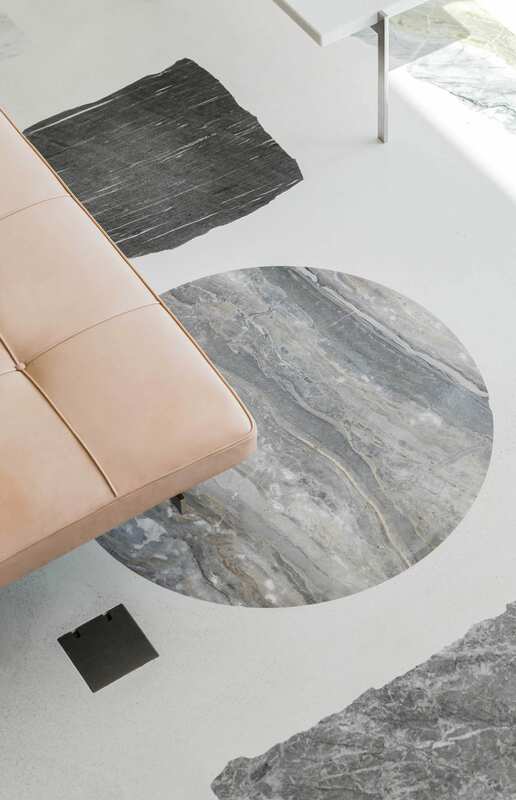 Natural stone pieces, each one in its exact placement, create a unique surface where different shapes, colours and edges come together. The floor becomes the background for every other thoroughly thought-through detail present in the living room. The walls and columns have a textured finish, which absorbs the sunshine while creating a sense of shadow play. Warm beige curtains take the brunt of the direct sunlight, while the light timber panels that separate the different zones bring the warmth to the living areas. 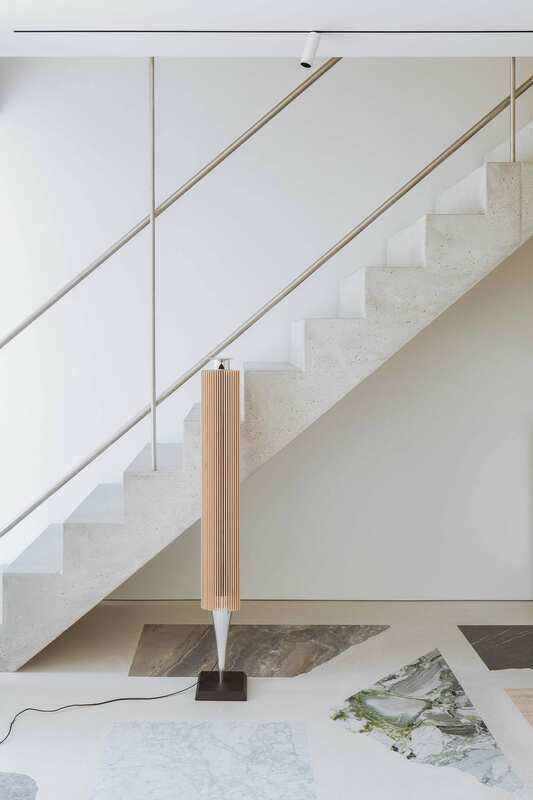 A concrete staircase leads up to a very different kind of experience with pristine white floors and a highly-curated and sparse, gallery-like approach to the bedroom interior. Marie Kondo would definitely approve! The most intimate space inside the apartment – the bathroom – has a magnificent view of the city, with added natural light arriving via the skylight. 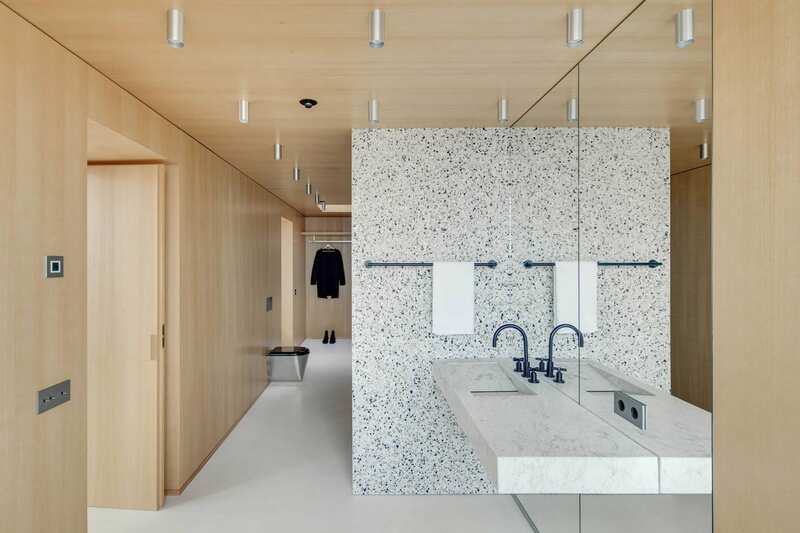 The light reflected by the timber wall panels warms up the cold surfaces of terrazzo, marble, concrete, glass and stainless steel. 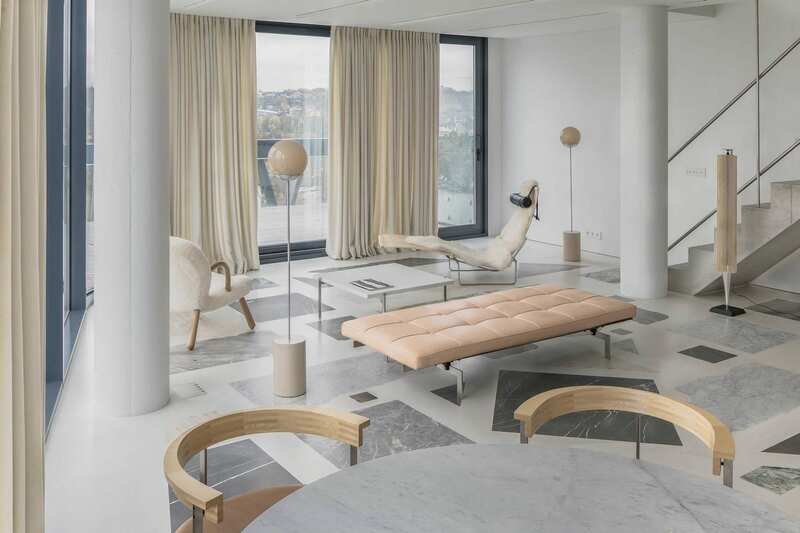 The post Terrazzo Marble Dreams: Apartment in Lithuania by DO Architects. appeared first on Yellowtrace.